The Interstate Highway System is wonderful, but it enables us to drive from one end of the country to the other without seeing much or meeting hardly anyone. 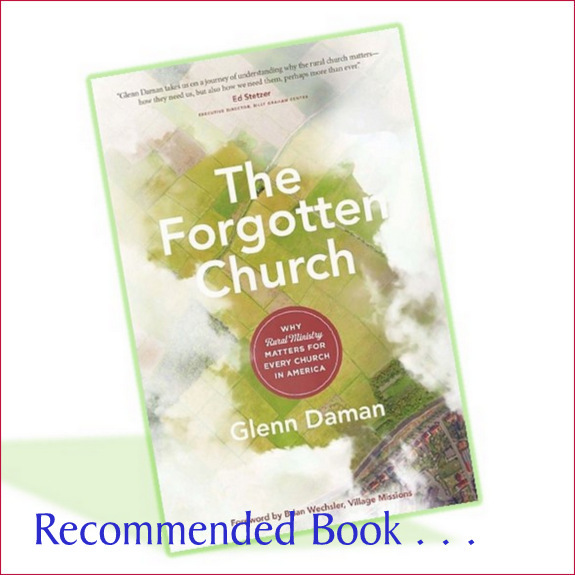 There is a whole world out there, including vast spiritual wastelands – what Glenn Daman refers to as the forgotten – that many Christians are oblivious to. Daman introduces us to this world in an eloquent, compelling, and informative manner. His book is a call for all to read, not just people in rural places. As a boy who grew up in the city but has devoted his life to rural people, my fervent hope is that this call is heeded. How wonderful that The Forgotten Church is printed by Moody Publishers, located in the heart of Chicago. This captures the “let’s band together” spirit that permeates the book. While we don’t necessarily endorse the theological positions of some of these authors, nonetheless we feel they have made valuable contributions to rural ministry. Some of these books are out of print. Ammerson, Nancy, et al. Studying Congregations. Nashville: Abingdon, 1998. Anderson, Hannah. Humble Roots — How Humility Grounds and Nourishes Your Soul. Chicago: Moody Publishers, 2016. Barton, William. Parables of a Country Parson. Peabody, Mass. : Hendrickson Publishers, 2008. Bickers, Dennis. The Tentmaking Pastor. Grand Rapids: Baker, 2000. Bierly, Steve. Help for the Small-Church Pastor. Grand Rapids: Zondervan, 1995. Bierly, Steve. How to Thrive as a Small-Church Pastor. Grand Rapids: Zondervan, 1998. Burt, Steve. Activating Leadership in the Small Church. Valley Forge, Pennsylvania: Judson Press, 1988. Carson, D.A. Memoirs of an Ordinary Pastor. Wheaton: Crossway Books, 2008. Crandall, Ron. Turn Around Strategies for the Small Church. Nashville: Abingdon Press, 1995. Daman, Glenn. Shepherding the Small Church. Grand Rapids: Kregel, 2002. Daman, Glenn. The Forgotten Church. Chicago: Moody Publishers, 2018. Dorr, Luther. The Bivocational Pastor. Nashville: Broadman Press, 1988. Dorsett, Terry. Developing Leadership Teams in the Bivocational Church. Bloomington, Indiana: CrossBooks, 2010. Dudley, Carl S. and Walrath, Douglas Alan. Developing Your Small Church’s Potential. Valley Forge, Pa.: Judson Press, 1988. 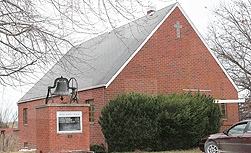 Dudley, Carl S. Making the Small Church Effective. Nashville: Abingdon Press, 1978. Eclov, Lee. Pastoral Graces — Reflections on the Care of Souls. Chicago: Moody Press, 2012. Farris, Lawrence W. Dynamics of Small Town Ministry. Bethesda, Maryland: The Alban Institute, 2000. Flora, Cornelia Butler, et al. Rural Communities, Legacy & Change. Boulder: Westview Press, 1992. Foltz, Nancy, ed. Religious Education in the Small Membership Church. Birmingham: Religious Education Press, 1990. Funk, Abe. Hope for the Small Church. Belleville, Ontario, Canada: Essence Publishing, 2005. Goreham, Gary A., ed. 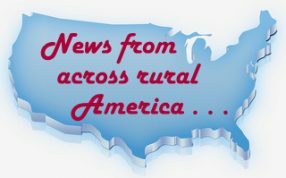 Encyclopedia of Rural America. Santa Barbara: ABC-CLIO, 1997. Hall, Eddy, Bowman, Ray, Machmer, J. Skipp. The More with Less Church: Maximize Your Money, Space, Time, and People to Multiply Ministry Impact. Grand Rapids: Baker Books, 2014. Hansen, David. The Art of Pastoring — Ministry without All the Answers (Revised Edition). 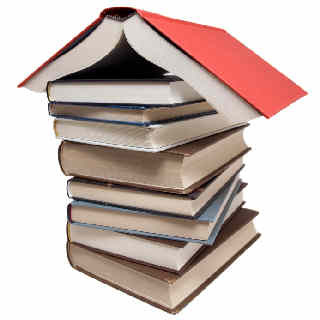 Downers Grove, Ill.: IVP Books, 2012. Hughes, Barbara. Disciplines of a Godly Woman. Wheaton: Crossway Books, 2006. Hughes, Kent. Disciplines of a Godly Man. Wheaton: Crossway Books, 2006. Hughes, Kent & Barbara. Disciplines of a Godly Family. Wheaton: Crossway Books, 2007. Hughes, Kent & Barbara. Liberating Ministry from the Success Syndrome. Wheaton: Crossway Books, 2008. Hunter, Kent R. The Lord’s Harvest and the Rural Church. Kansas City: Beacon Hill Press, 1993. Johnston, Ron. Reality Check for the Church — Discovering a Unique Vision for the Small Church. Winnipeg: Word Alive Press, 2013. Jung, L. Shannon and Agria, Mary A. Rural Congregational Studies. Nashville: Abingdon Press, 1997. Jung, L. Shannon et al. Rural Ministry: The Shape of the Renewal to Come. Nashville: Abingdon Press, 1998. Killen, James L. Pastoral Care in the Small Membership Church. Nashville: Abingdon Press, 2005. Klassen, Ron and Koessler, John. No Little Places. Grand Rapids: Baker Books, 1996. Klassen, Ron, Wells, Barney, and Giese, Martin. Leading through Change. St. Charles, Ill.: ChurchSmart Resources, 2005. Kloppmann, Karl. 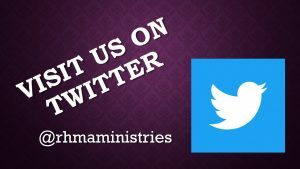 A Men’s Ministry for the Small Church. Longwood, Florida: Xulon Press, 2004. Koessler, John. Folly, Grace, and Power — The Mysterious Act of Preaching. Grand Rapids: Zondervan, 2011. Lacy, Brent. Rural Youth Ministry — Thrive Where You’re Planted. Loveland, Colo.: Group Publishing, 2012. Longenecker, Harold. Building Town and Country Churches. Chicago: Moody Press, 1973. Longenecker, Harold. Growing Leaders by Design. Grand Rapids: Kregel, 1995. McCarty, Doran. Leading the Small Church. Nashville: Broadman Press, 1991. McIntosh, Gary. One Size Doesn’t Fit All. Grand Rapids: Fleming H. Revell, 1999. McMullen, Shawn ed. Releasing the Power of the Smaller Church. Cincinnati: Standard Publishing, 2007. McMullen, Shawn ed. Unleashing the Potential of the Smaller Church. Cincinnati: Standard Publishing, 2006. Madsen, Paul O. The Small Church — Valid, Vital, Victorious. Valley Forge, Pennsylvania: Judson Press, 1975. Nebel, Tom. Big Dreams in Small Places — Church Planting in Smaller Communities. St. Charles: ChurchSmart Resources, 2002. O’Brien, Brandon. The Strategically Small Church. Minneapolis: Bethany House, 2010. Pappas, Anthony G. Entering the World of the Small Church. Bethesda, Maryland: The Alban Institute, 2000. Pappas, Anthony G. ed. Inside the Small Church. Bethesda, Maryland: The Alban Institute, 2002. Plueddemann, James E. Leading Across Cultures — Effective Ministry and Mission in the Global Church. Downers Grove, Ill.: IVP Books, 2009. Ray, David R. The Big Small Church Book. Cleveland: The Pilgrim Press, 1992. Ray, David R. The Indispensable Guide for Smaller Churches. Cleveland: The Pilgrim Press, 2003. Roper, David. A Burden Shared — Encouragement for Leaders. Grand Rapids: Discovery House, 1991. Roth, Brad. God’s Country — Faith, Hope, and the Future of the Rural Church. Harrisonburg, Virginia: Herald Press, 2017. Ruffcorn, Kevin E. Rural Evangelism. Minneapolis: Augsburg Fortress, 1994. Schaller, Lyle E. The Small Church Is Different. Nashville: Abingdon Press, 1982. Schaller, Lyle E. The Small Membership Church: Scenarios for Tomorrow. Nashville: Abingdon Press, 1994. Sherman, Jennifer. Those Who Work, Those Who Don’t — Poverty, Morality, and Family in Rural America. Minneapolis: University of Minnesota Press, 2009. Smith, Lee J. Reflections of a Small Town Pastor — Engaging in God’s Mission in Smaller Places. Minneapolis: NextStep Resources, 2013. Stowell, Joseph. Shepherding the Church. Chicago: Moody Press, 1997. Strauch, Alexander. Leading with Love. Littleton, Colorado: Lewis & Roth Publishers, 2006. Thiessen, John C. Pastoring the Smaller Church. Grand Rapids: Zondervan, 1962. Urbanska, Wanda and Levering, Frank. Moving to a Small Town. New York: Simon & Schuster, 1996. Van Yperen, Jim. The Shepherd Leader. St. Charles, Ill.: ChurchSmart Resources, 2003. Vaters, Karl. The Grasshopper Myth: Big Churches, Small Churches and the Small Thinking that Divides Us. NewSmallChurch.com, 2012. Vaters, Karl. Small Church Essentials. Chicago: Moody Publishers, 2018. Wagley, Laurence. Preaching With the Small Congregation. Nashville: Abingdon Press, 1989. Wagner, E. Glenn. Escape from Church, Inc. — The Return of the Pastor-Shepherd. Grand Rapids: Zondervan, 1999. Wallace, Robin K. and Heck, Terry R. Worship in Small Membership Churches. Nashville: Discipleship Resources, 2007. Walrath, Douglas. Making It Work: Effective Administration in the Small Church. Valley Forge, Pa.: Judson Press, 1994. Wiersbe, Warren. On Being a Leader for God. Grand Rapids: Baker Books, 2011. Wiersbe, Warren. On Being a Servant of God. Grand Rapids: Baker Books, 2007. Wiersbe, Warren. Too Soon to Quit! Fort Washington, Pa.: CLC Publications, 2012. Wilkinson, Vernal. The Bible, Live — A Basic Guide for Preachers and Teachers in Small Churches. Denver: Outskirts Press, 2011. Willimon, William H. and Wilson, Robert L. Preaching and Worship in the Small Church. Nashville: Abingdon Press, 1980. Wright, Walter C. Relational Leadership (Revised and Expanded). Downers Grove, Ill.: IVP Books, 2009.